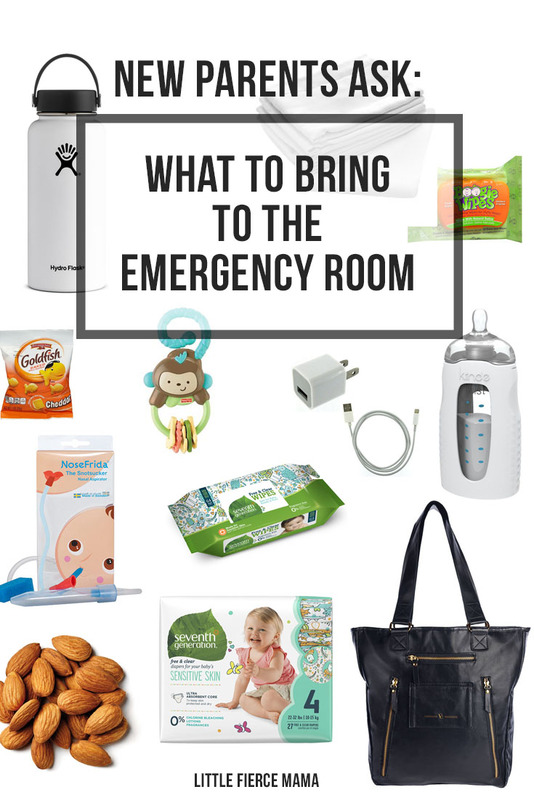 I recently went through the experience of having to take Will to the emergency room. As a first time parent that was terrifying but I was glad to have some of that military operator background combined with mom-ability in my back pocket. I had gotten a message from Will's care provider saying that she had gone from not feeling that morning to far worse before lunch. I started coordinating a back-up child care provider when all of a sudden, she messaged me again letting me know that Will was throwing up. The timing was highly ironic as Ryan had left to go on a trip with his friend and they were out-of-state. As I picked him up, I had already coordinated with our babysitter and she was over at our house. Unfortunately, Will would not stop throwing up and after talking with the medical group here, I decided to take him into the local children's hospital's emergency room. Vilah Bloom Cafe Crossover Bag: You're going to want to a solid diaper bag. The Cafe Crossover is easy to clean and can be worn THREE different ways. When you have a sick baby who is either clinging to you to be carried or throwing a tantrum, this allows flexibility in getting your items from point A to point B. It also has large, roomy pockets (again easy-to-clean) so it's simple to organize diaper items over in one point, food in another and there's still space to add last minute items. There is also a handy dandy key lasso which was great for attaching my keys, locking the car on the run and hustling to the emergency room without worrying that I'd lose my keys. Be sure to put BLOOMER016 in the comments during checkout and sign-up for their newsletter for 10% off! Seventh Generation Wipes and Diapers: When trying to be environmentally conscious, doing right by your baby and still needing to use disposables - Seventh Generation is where it's at. These wipes (and diapers) are made with quality products and if you need to wipe your baby's face, no worries, these wipes are fantastic and won't add harsh chemicals to baby's skin. Your Vilah Bloom Cafe Crossover has a designated front compartment that's easily accessible because when your little one is sick, the last thing you want to do is dig for stuff. Nose Frida, Boogie Wipes, Boogie Mist: There is sometimes so much snot that you don't know what to do with yourself. The Nose Frida, Boogie Wipes and nasal spray are so necessary to help make parenting less stressful. I don't know about you but sometimes as a new parent, you forget that you literally have to teach your baby everything. He doesn't know how to blow his nose but at the moment, his nose is rivaling Niagra Falls. These items keep the snot at bay and are my perfect trifecta for sick kiddos. Gerber Cloth Diapers (Burp Rags): These are my favorite burp rags because they don't mess around. They can handle a lot of messy situations, including upset tummies. They also aren't flimsy, so once they mess is caught or cleaned up, you can roll it up and the situation is handled. Bottles and Nursing: If you nurse, consider bringing extra breastmilk and same for formula users. We use the Kiinde bottle system so I would go back and forth from nursing Will to letting him drink a bottle. The bottle was also great for the car ride to the hospital. He didn't drink much but it was available to him. Phone charger: I was really glad I remembered to bring this because my phone would have died shortly into the visit there. We had very limited service and so I'm sure my phone was seeking out signals and depleting its battery. The charger made it possible for me to send text updates to my husband and family. Plastic Toys: Ugh I was kicking myself for this one. I did not bring Will a single toy. So what I did was make surgical glove balloons for him. Bring toys that are easy-to-clean. The emergency room can be a long visit and that will help make the time easier on the both of you. Snacks and Water: I brought my water bottle and then left it in the car. I also had ZERO snacks on me. We were in the waiting room for six hours. I was starving and I knew the nurses were incredibly busy so I felt bad asking for water. I finally had to because we were rolling into hour three and I was parched. I'm glad I did because little did I know that I had three more hours to go. Do yourself a favor and bring a solid water bottle, like a Hydroflask, and easy snacks like almonds for protein which can tie you over until you get something more substantial. Depending on your situation, you may need more or fewer items. If your child has any type of medical history, bringing his or her record may be very helpful. In this case, my little one just caught a nasty virus that had been spreading through the base. I was so glad that the children's hospital staff were so kind, patient and incredibly informative. They made sure that I was a confident mom in leaving that hospital. I'm so glad we had that positive experience because the very next day, I was the one who was sick! Good luck mamas and papas - you're doing a great job! If you liked this post, share it with others! If you feel particularly moved by it, leave a comment because I love feedback and discussion. Social media links are provided below and thanks for reading! I collaborated with the Honest Co. in writing a post about Honest products. 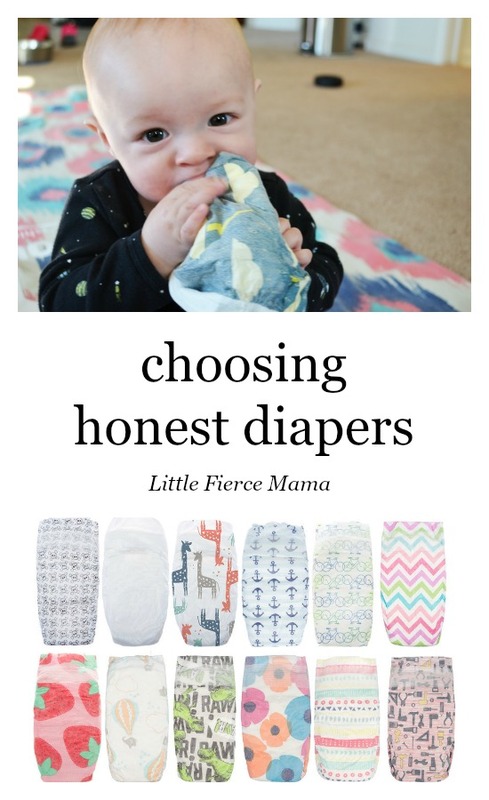 While I haven't tried their prenatal vitamins or skin care line, our family started using Honest diapers for Will and we love them. When we first used them, I'm pretty sure a box was gifted to us during one of our amazing diaper raffles. If you're having a baby shower and plan on using disposable diapers- have a diaper raffle! It set us up for success for so many months and it gives you the opportunity to try out several different brands to see what you like. As I move from my life in missiles, one of the things that I miss and appreciate the most are the wonderful people that I met in that chapter of my life. Two of those people are Jake and Melissa Lair. Jake served as a crew commander and flight commander to me. He and his wife are two of the nicest folks you could ever meet and I am so excited to share with my readers about the Lairs' newest endeavor, Weather Worn Feather. 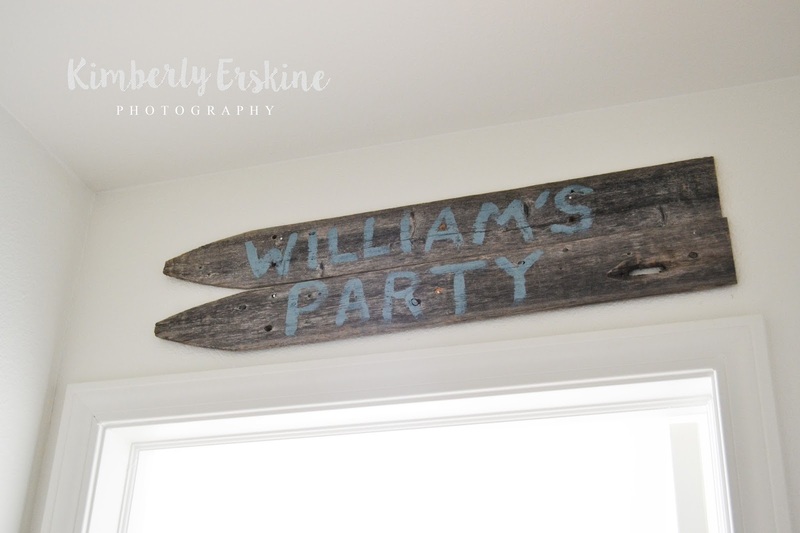 When I was first pregnant and also exploring the option of fostering while I was stationed in Montana, I wanted to create a baby nursery that was not gender-specific. I loved the idea of having an adventure-themed nursery because there is so much you can do with that theme. Ultimately I wanted our future baby (babies) to believe in their dreams and want to explore everything around them. I stopped blogging for awhile because I felt like I had lost my passion and purpose. After an internship that was very educational in creating online content, I was admittedly left exhausted at capturing and styling pretty photos. I felt like I was losing the blogging experience that I wanted as I started to compare myself to Instagram bloggers with tens of thousands of followers. Their life, which I knew wasn't perfect, seemed really beautiful...all of the time. That level of comparison took the joy out of it for me and I stopped writing all together. I also felt worn out at how much work that I knew went into these posts to make them look lovely and half of the time, I just wanted to talk about my day and what I was going through. As I went through my pregnancy and postpartum care, I realized that I wanted to document so much of it but became reluctant because it wasn't "perfect." The sad thing was that in feeling like I couldn't compete with Pinterest and Instagram bloggers, I missed out on documenting certain aspects. Towards the end of my pregnancy, I became fine with taking iPhone pictures and slapping an app graphic onto them because ultimately capturing the moment was my only priority. I'm so glad I did. It doesn't have to be perfect to still be special and worthwhile. As I was recovering, I spent so much time pouring over blogs and articles to research breastfeeding and my postpartum care that I wanted to share what I had learn and to become a resource for moms and parents alike. I found my passion for writing and connecting with people to have been rekindled and I just wanted to dive in. I know others moms who are so hard on themselves and I want to become their cheerleader and simply tell them, "you're doing a great job." I finally felt connected to the idea of Little Fierce Mama. This space is me learning. This space is where I'm sharing what it's like to be a first time mom. This space is where I confide on the challenges that I face being a full time working mother who is an active duty military officer. This space is where I want to laugh and share my joy with those who are up late at night, watching over their children or are pumping to make sure their baby has breastmilk for daycare. This space is where I want to explore topics that interest me and you. I'll probably craft a little and do DIYs that are a little different than what I've done in the past but that's because my life IS different. Why wasn't Patrick Clarke introduced on Army Wives sooner? Unless otherwise noted, I am the legal copyright owner of the material on this blog and it may not be used, reprinted or published without my written and stated consent. The information on this blog is for entertainment purposes only. As this is my blog, I reserve the right to change it any way throughout my ownership. I am not held responsible for the actions of my advertisers, other bloggers, or those who sponsor and/or promote me or this blog. These are my opinions alone, and do not reflect the views or opinions of the United States Air Force, United States Marine Corps, or any other military branches. Thanks for reading! 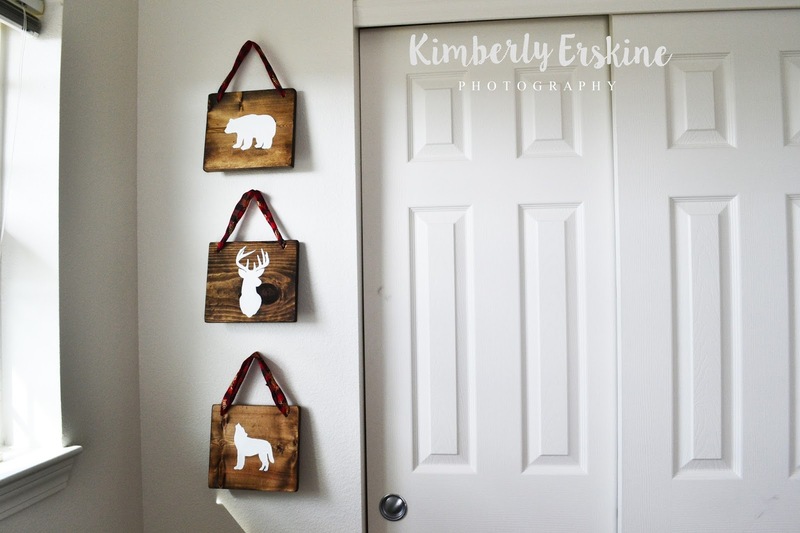 Kimberly Erskine. Powered by Blogger.